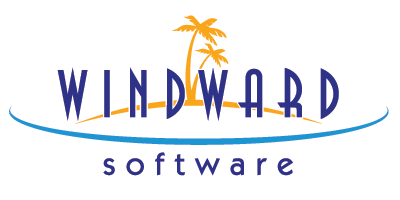 Company Description: Windward Software helps you run your business, instead of just reporting on it. Headquartered in Canada, Windward Software has been in the business since 1984. Its client base includes businesses throughout the world. The company’s clientele is based in Canada, United States, Australia, Barbados, Cayman Islands, Jamaica, Bermuda, Philippines, Malaysia, Brunei and many others countries. The company is in the business since 1984. It has an A+ rating with the Better Business Bureau. The company offers 24×7 technical support to its customers. Windward is a certified Microsoft Partner with a Gold Application Development Competency. The company has around 4000 clients in 37 countries. There are Windward Software installations in every Province and Territory in Canada. The company has won a best software development company award for 3 years in a row. There are over 10,000 Windward stations in operation worldwide processing over 1.5 billion in sales. The company does business without three year contracts and the merchant owns and controls his data and software licensing. The company’s second office is located in Cebu, Philippines that allows to offer extended support hours for its Australia and Asia clients. Windward support its customers even running older and legacy versions of our solutions. Windward has over 1500 training videos and 3400 pages of documentation available. The company’s tagline is “We help you run your business, instead of just reporting on it”. In the rapidly evolving Ecommerce and online marketplace environment, it can be very hard to keep up with the online selling options that will keep you on the wave. Therefore, we chose to work with Omni-channel Integrator, 24Seven Commerce, so you can add new integrations as they are created or as your business grows. Leverage your in-store inventory investment to the online world allowing you sell anytime, anywhere, on any device to anyone. With 24Seven Channel integration, we have extended the Power of Windward System Five. Windward Software’s API Integration with 24Seven Commerce Channel Manager extends the capability of Windward System Five to turn into Omni-channel world. Now product and web orders data can flow across multiple Ecommerce platforms such as Shopify, Magento, WooCommerce, BigCommerce, and major marketplaces such as – eBay, Amazon, Fancy, Farfetch, Souq, and Carre Couture.